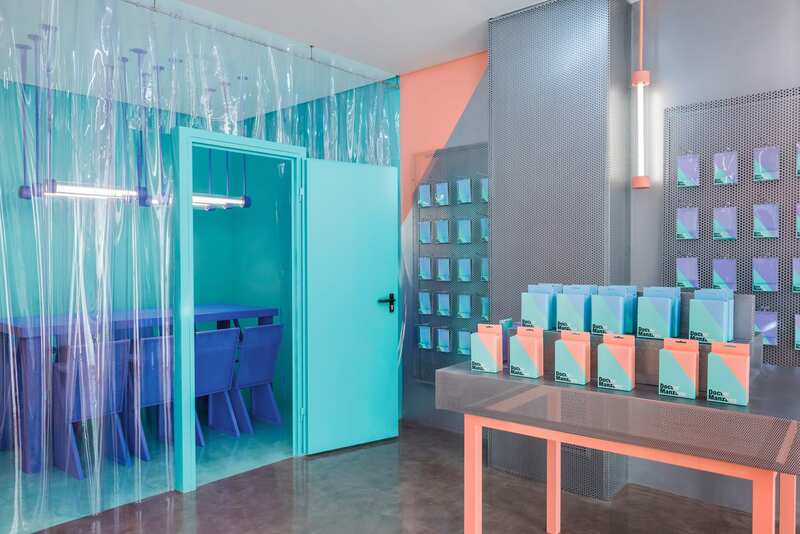 Masquespacio have completed the design for Doctor Manzana’s second store, company specialising in smartphone repairs and gadgets, located in Valencia’s University district. 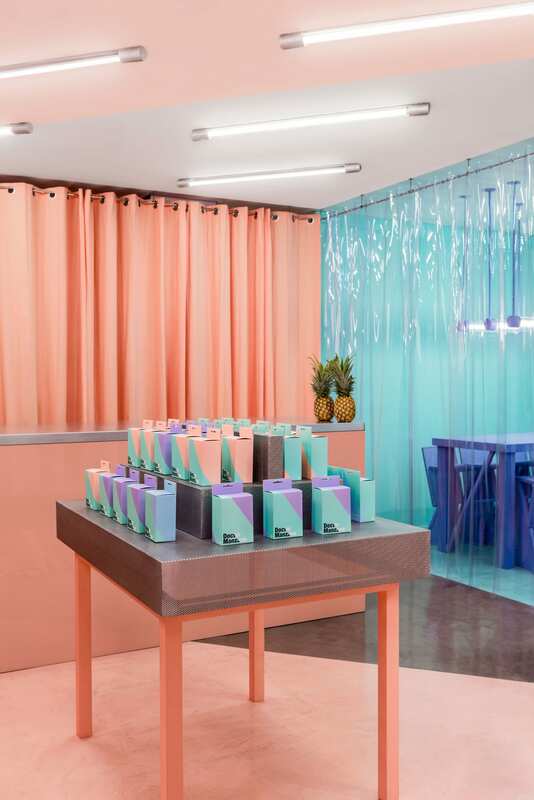 The history of Doctor Manzana and Masquespacio began in the summer of 2013, when the founders Fran and Reyes commissioned the creative consultancy to redesign their brand and create their first point of sale. Given that Doctor Manzana specialise in the repairs of mobile phones and smartphone cases, the brand reinvention focused on the 54-degree angle of the touchscreens. 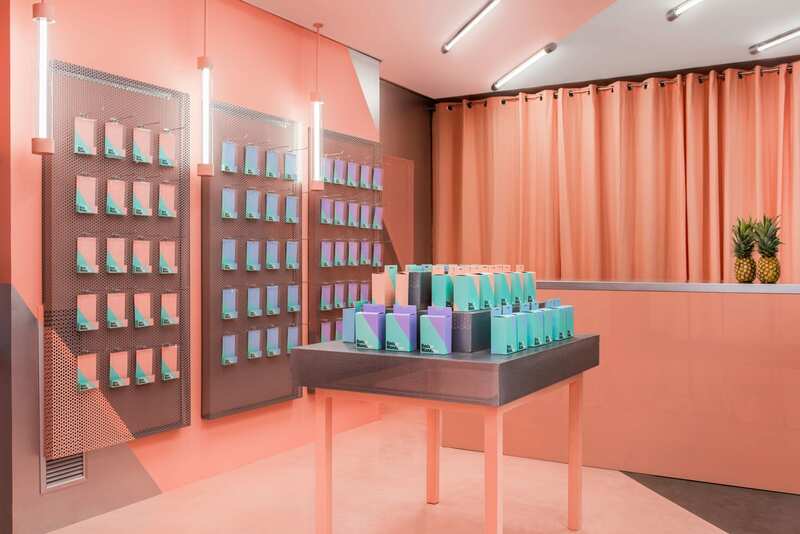 This angle was applied both to the graphic branding as well as the store interior, utilising four different colours: green and blue as a reference to the doctor, salmon for the fashionistas and purple for the geeks. 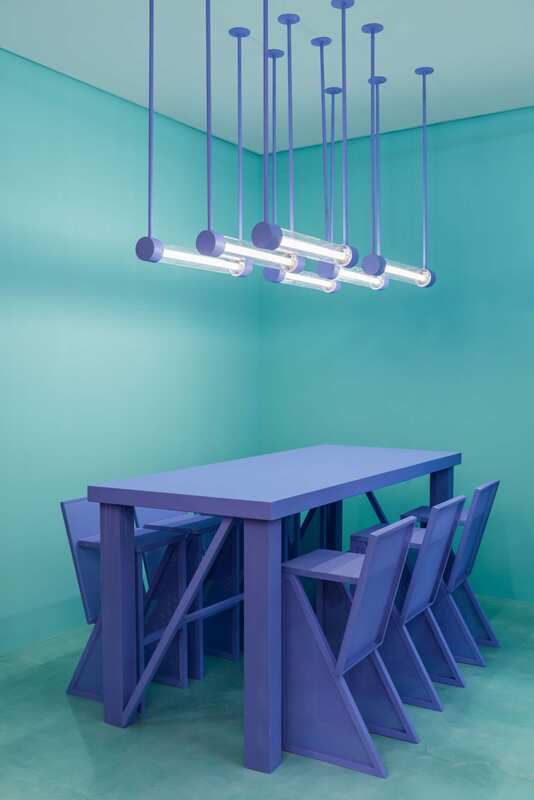 The use of metal adds an industrial touch reminiscent of the laboratories. 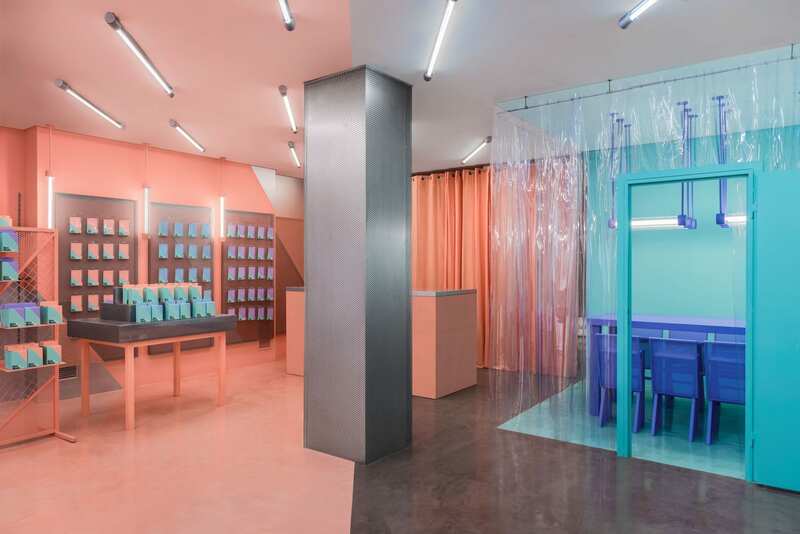 For the second store, Masquespacio sought to maintain the brands’ identity already established during the first project, offering a new custom-made design that could be recognized by Doctor Manzana’s existing clients, at the same time proposing a completely different design for this new point of sale. Here, we can still recognize the 54 degree angles, colours and materials, but with greater importance placed on the use of metals and finishes. 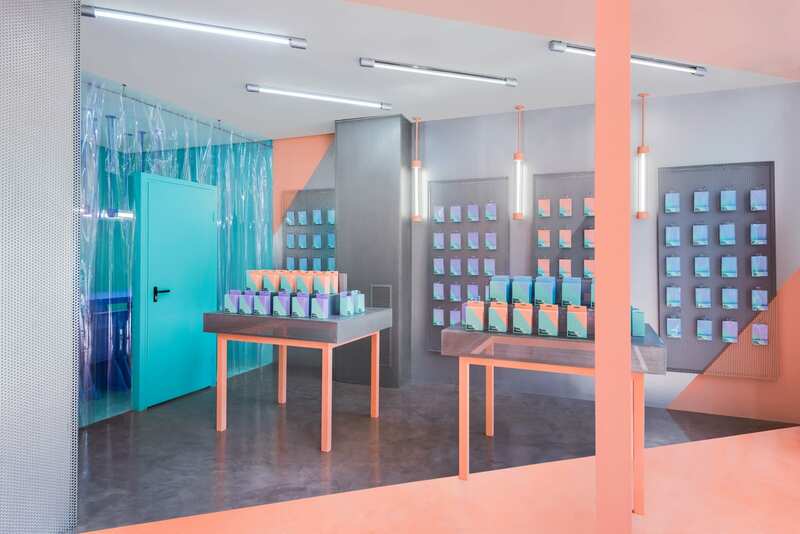 The store is designed to also host various workshops and talks, featuring Doctor Workshop high stood designed by Masquespacio. The stool marks the first official product that will be sold directly through Masquespacio’s sub-brand Mas Creations. See more projects from Masquespacio on Yellowtrce here. Vibe Hotel in Sydney’s Rushcutters Bay by TomMarkHenry.